Australian company Element Software Pty Ltd. is based in Melbourne and has been developing software products since 1999. In 2001 it launched its flagship product, Copper Project, which is a workflow management software solution. Since then, its team has continued to support and develop the Copper platform and also consults with companies and organizations looking for custom project management software and solutions. The company is privately owned and mentions Apple, Ogilvy, DDB, Mercedes, and Sony among its clients. Also, Element Software Pty Ltd. partners with Xero, an accounting software firm, enabling Copper users to directly send invoices to a Xero account. Copper Project management software is comprised of individual modules that manage projects, people, and invoicing. 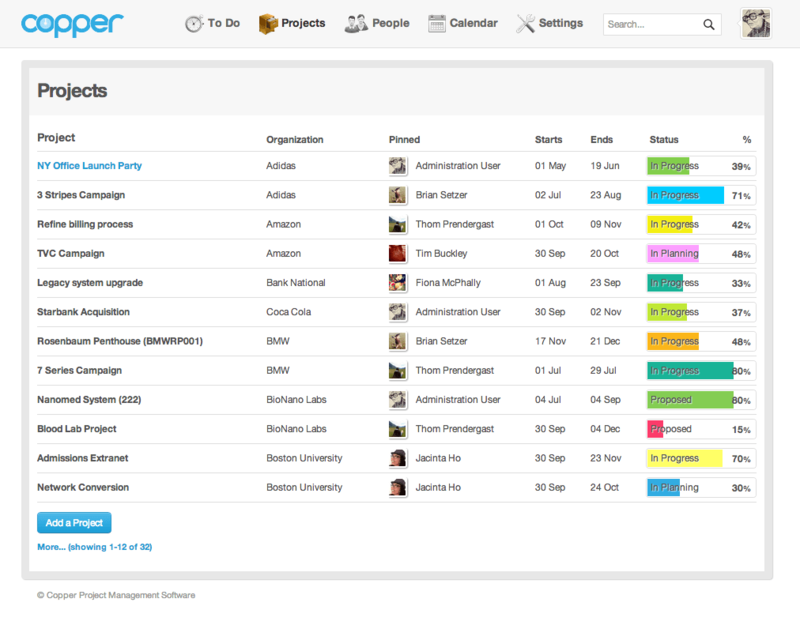 Featuring a drag-and-pin interface, Copper project tracking software is designed to take the hard out of work by making timesheet building easy, spreadsheets a snap, and finding information buried in emails less of a hassle. Timelines can be made with a drag-and-drop feature, and team members can be pinned to projects or tasks, providing a visual image of any responsible party. The system also allows users to work directly with clients and stakeholders, as well as integration with other software applications such as Xero, Quickbooks, MS Project, and XML. Copper is available in Italian, French, Spanish, Chinese, Portuguese, Swedish, and Polish, in addition to its English version. Pricing plans are flexible as they’re based on the number of users you require and your company’s needs.